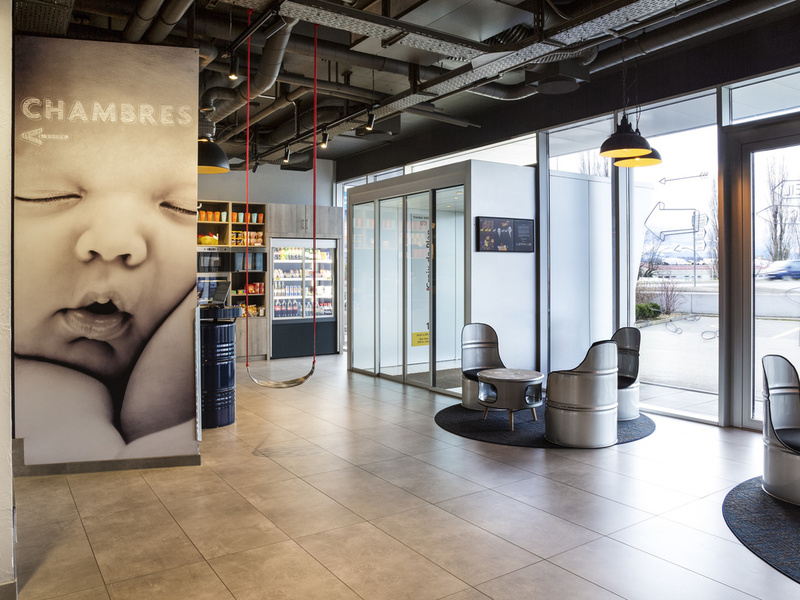 The ibis budget Lausanne Bussigny hotel (former Etap Hotel) is a budget hotel located 5 miles (8 km) from Lausanne and Lake Geneva and 10 minutes from the Olympic Museum. The hotel has 116 comfortable rooms with air conditioning, free WIFI and a paying car park. Enjoy a low-cost weekend or mid-week break in Lausanne as a couple, with the family or as part of a group. Triple - Room, one large bed (59 x 75in/150 x 190cm) and overhead bunk (31 x 75in/80 x 190cm). Küçük kompakt bir oda. Odada bir çekmecli bir dolap ve saç kurutması olsaymış 10 puan verirdim.